TCM has pulled out all the stops for a lineup this weekend, and I’m really excited about Roman Holiday playing tonight. If you’re around, definitely tune in. Audrey Hepburn plays a dissatisfied princess on an ambassadorial tour that eventually leads her to Rome, where she suffers a nervous breakdown from the stress of living in the public image. Medicated for her nerves, she escapes to Rome proper, where she is “rescued” by the unlikely hero, a journalist played by Gregory Peck. Realizing the stray he has taken in is in fact the now missing princess, he sees the scoop of his dreams, but he can’t let the princess know that he knows her secret- now can he? This movie is charming and amusing with a lot of rewatchability. 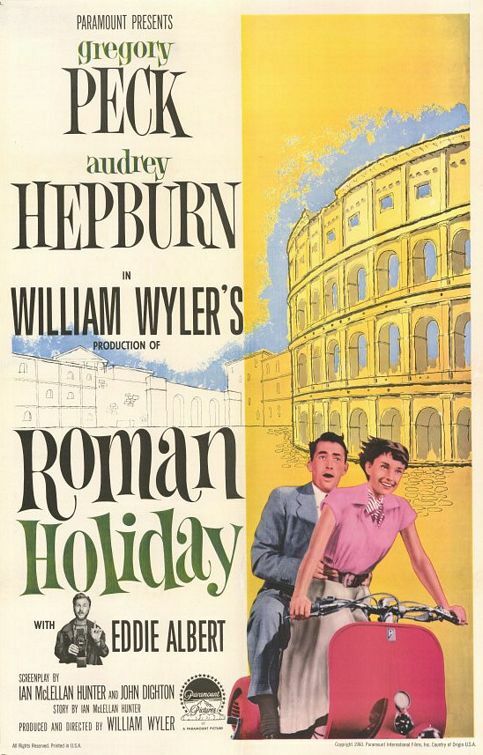 The scenes of Rome are excellent, and Hepburn and Peck play an excellent semblance of a couple. The story is sprinkled with amusing characters who push forward and complicate the story. Don’t worry- I’m wholly against giving away the endings. 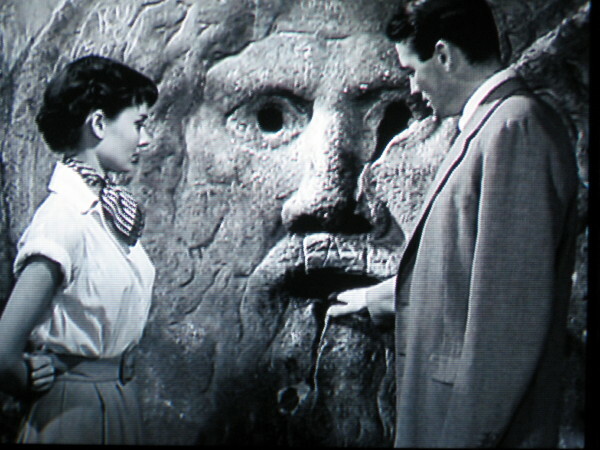 However, I will say that Roman Holiday is a great way to plan a quiet Saturday evening, especially if you’re one of the many who are snowed in. So, make some pasta, have some wine, and curl up with Roman Holiday. One of my favorite things about this film is Gregory Peck. He’s charming and roguish as the reporter, and his attitude off the set was just as excellent. He insisted on sharing top billing on the film because he shrewdly figured that Audrey would win the Oscar for her performance–and of course, he was right. Not every male star would have set aside ego to promote both the film and the career of a fledgling costar like that! Very good review of a very good movie. My favourite part is when Peck puts his hand in the mouth of truth and Hepburn thinks his hand is missing. Her reaction was said to have been natural as Peck supposedly pulled the joke without informing her.